Welcome to Beagle College, University of Mars! BEAGLE COLLEGE is one of the constituent Colleges of the University of Mars and is one of the most celebrated centres of learning on the planet. As well as providing our students with the mental and physical capabilities to undertake a wide range of careers and professions, we at Beagle also give our students an enlightened and far-ranging education that ensures that each one will make his or her mark in the world. Beagle College Campus is more than just an exciting place to be. With degrees as far-ranging as Art, Aerospace Engineering, Law, Theatre Studies, Geology, Teaching, Medicine, Pharmacology and Veterinary Science, we provide for all aspects of a thorough tertiary education. Our campus [PDF map] is located in Pillinger Dome, the Central Dome of Beagle Dome Complex and comprises our main college building with its impressive glazed atrium [PDF pic], the Schools of Medicine and Nursing, Veterinary Science and Music and the prestigous Centre for the Performing Arts. We have our justly famed Campus Gallery, where the work of our art sudents is displayed, hydroponics and aerospace engineering test domes, our design studio, and various sporting facilities that include a college pool and a sand-buggy race-track. A degree or diploma from UMars Beagle is a qualification to be proud of! For an example (PDF), click [HERE}! Beagle is the ideal place to pursue your chosen career or profession, with caring and committed staff, state-of-the-art equipment and facilities and a setting that displays the cultural and scientific best of Mars. 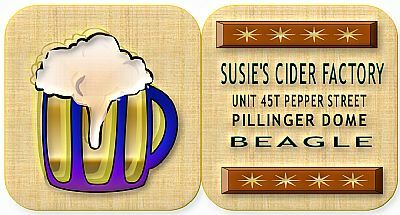 The local area around the campus has many student-oriented cafés, bars, stores, nightclubs and other facilities, providing a range of activities for out-of-college leisure time. Licensed student accommodation is available within Pillinger Dome itself or on the four main avenues out from Beagle Central, and a comprehensive transport service links to every part of the Complex and beyond. 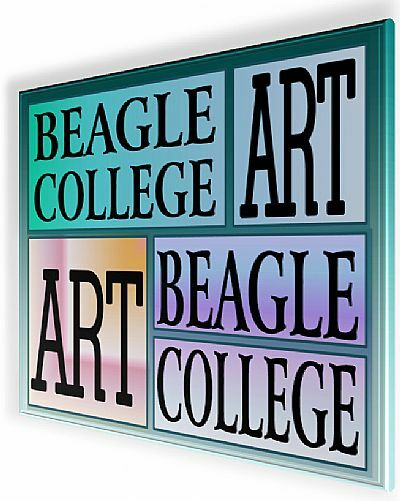 Beagle College, University of Mars - for an education in the art of life!